EtherCAN CI-ARM9 is a CAN to 10BaseT Gateway. Computer networks worldwide are using Ethernet with the TCP/IP protocol family. With the EtherCAN gateway you are connecting the TCP/IP world with your CAN based control network. Available is a CAN-Layer-2 and CANopen Server software. ARM9 CPU with an integrated Ethernet controller and dual FlexCAN interfaces. On the EtherCAN CI-ARM9 an Embedded LINUX™ operating system is installed. Connecting "embedded" controllers via the Internet becomes more and more popular in the last time. World wide computer networks are using the common Ethernet cabling standard and TCP/IP as common protocol family. The reason is the increasing data communication for recording the production and operating data as well as for visualization and remote maintenance. The EtherCAN CI-ARM9 Gateway combines the decentral CAN and CANopen networks with the classical Ethernet network. To communicate via Ethernet the TCP/IP protocol is used, while on the CAN bus the communication is realized by CANopen or another user-specific protocol. Merging the data of production control and data acquisition with operating data lately became a standard requirement of application users. It is foreseeable, that the real-time control of machines still will be implemented directly with event controlled real time capable field buses for a longer period of time. Therefore linking the control network over a gateway to office or automation networks or to the Internet at all via TCP/IP is an interesting and cost-effective solution. This task is fulfilled by the CAN-TCP/IP Gateway EtherCAN CI-ARM9. The basis for the EtherCAN forms a powerful 32-bit CPU with integrated Ethernet controller and the CAN-Controller Philips SJA1000. On the EtherCAN CI-ARM9 an Embedded LINUX™ operating system is installed. Therefore a lot of services like FTP, Telnet or an integrated web server but also a RS-232 interface are available to run user-specific applications. For own developments a Developer Package is available. It includes besides tools to generate the FLASH image, a cross compiler and necessary libraries. 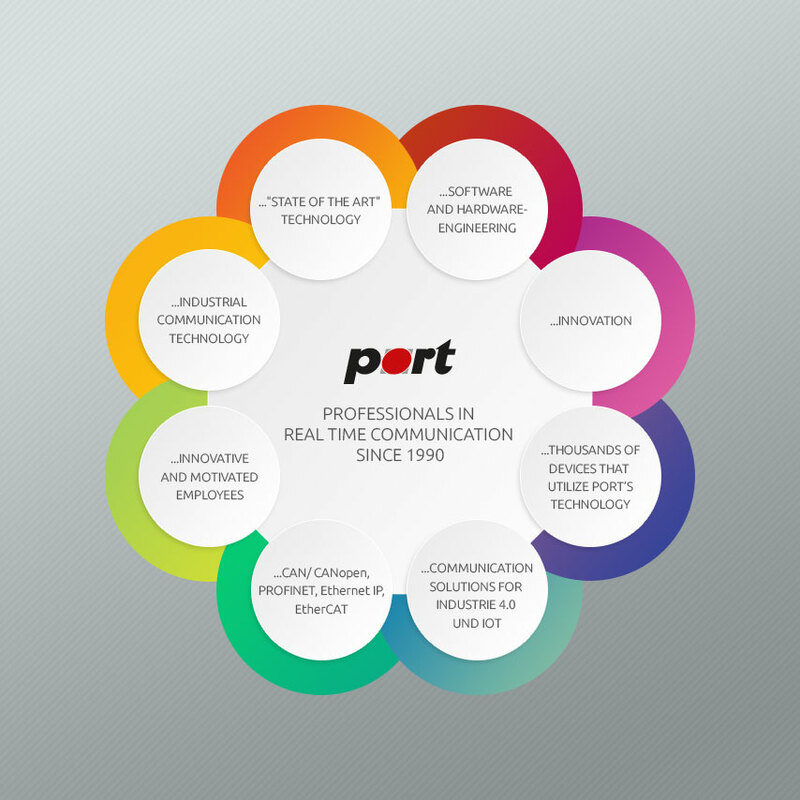 Further examples in C, Java or Tcl can be downloaded from our web site www.port.de. The main advantage of such a network linking is the possibility to remote control or do a remote observation and/or service of machines and installations from any place in the world. By using the EtherCAN CI_ARM9gateway also costs for expensive special wirings can be saved, because existing CANopen networks or Ethernet connections can be used again.